Westlake Village is a planned community that covers the border between the counties of Los Angeles and Ventura County. The city is located in the region of Conejo Valley, which includes half of the area surrounding Westlake Lake. Originally known as "Westlake", it was annexed by the city of Thousand Oaks in two portions, with the remaining third portion incorporated as the City of Westlake Village. For thousands of years, the native American tribe known as the Chumash inhabited the area. Spanish explorers who visited the are wrote that "We are on a plain of considerable extent and much beauty, forested on all parts by live oaks and oak trees, with much pasturage and water." When California was admitted to the union in 1850, the land was divided among only 19 families. The land was then bought for cattle ranching. The area was known as Russell Ranch, despite having trading hands over the years to follow. It was the site of many movies and TV shows, such as Robin Hood and various episodes of Tarzan. Westlake Village is certainly not short of fine places to shop and dine. The Oaks Shopping Center is a stylish mall featuring a wide array of shops and food. It also features a games center outside the mall, with free games that are giant sized versions of the originals such as Jenga, Connect Four, and other classics. Muvico is a movie theater located in the mall that features a bar. Also located in the Oaks Shopping Center are popular places to each such as Red Robin, Olive Garden, and Cheesecake Factory. The Promenade At Westlake is another great shopping center located in the heart of Westlake Village. It features food such as Cinepolis, as 5-star sushi restaurant. Other places to eat in the mall include The Grill, Lemonade, and Marmalade Cafe. Shopping includes Bristol Farms, World Market, Lorna Jane, Sephora, and much more. As far as dining is concerned, Westlake village has some of the best restaurants around. Lure is a fine place to eat fresh fish and other seafood selections. Other fine dining includes The Stonehaus, Brent's Delicatessen, Tuscany II Ristorante, and Aroha. 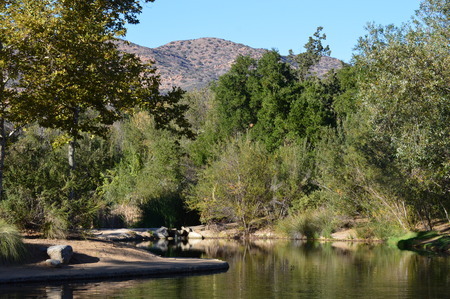 Westlake Village is home to 6 parks - Bernice Bennett, Canyon Oaks, Foxfield, Russell Ranch, Three Springs, and Westlake Community Park. Bernice Bennett Park features a Saturday in the Park concert series and other events throughout the year. It also features a basketball court, picnic pavilion and a walking path. The Westlake Village Community Park will contain 8 acres of synthetic turf fields for soccer, baseball, and other sports. It will also feature a skate park, picnic areas, fitness equipment, and areas for the children. In 2010 the US Census reported that Westlake Village had a population of 8270, with a density of 1502 per square mile. There were 3,262 households, out of which 971 (29.8%) had children under the age of 18 living in them, making Westlake Village an ideal place to raise children. Several major corporations call Westlake Village home and are major employers, including Dole Food Company, Bank of America Home Loans, Farmer's Insurance Group, Costco, K-Swiss, Securitas, and Guitar Center. Schools in Westlake Village are served by the Conejo Valley Unified School District. It includes such schools as Westlake High School, White Oak Elementary, and Westlake Hills Elementary. Thousand Oaks Surgical Hospital is a general acute care hospital that provides a range of specialty surgical services. This facility ranks highly in overall patient satisfaction according to CMS.